Business Rescue Coach's Strategy Tips from the Movie Hidalgo - Brilliant Breakthroughs, Inc.
Let’s Stop, Look, and Listen! Well, here we are smack-dab in the beginning of this year’s Summer Blockbuster Season. Yep, Hollywood’s films are emerging on screens everywhere. Some movies are fun, some are oldies and goodies while others are just oldies and maybe not so good, and then there are some of the originals – just waiting for us to fall in love with them. Regardless of which category a movie falls into, there are always wonderful lessons to learn. One of my hobbies is to find some great business lessons from each movie I watch. (I know it’s a very strange little hobby, but nonetheless, it’s mine!) I enjoy noticing lessons which share what to do, or what not to do, I typically find both are of equal value! So let’s look at this movie review…. 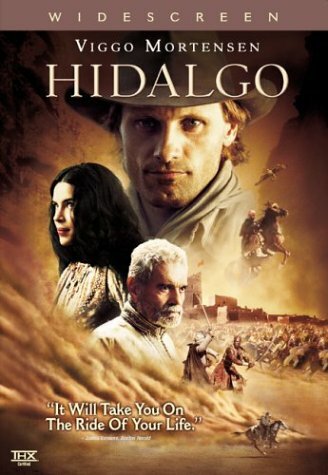 What can the movie Hidalgo teach us about business? Are you gambling your life for your career? How often do you feel that your personal survival depends upon your business’s success? If you are like most business owners and managers most likely your answer is, “Gee, far too often!” And you know what? You are absolutely right! Far too often we perform as if we are in the final strokes of our personal life while we are performing professionally. Just this week I was listening to the John Tesh Radio Show. John was saying that Americans are afraid to take vacations. That’s right, one of the things we strive for the most, the thing (time) we say is most important to us is exactly what we aren’t gifting ourselves…even when we earn it! In my former career, I was an offender of this. Tesh was sharing how everyone is tired of having to come back to insane workloads, having to take calls and do meetings while on vacation, and then being afraid that they would “fall out of favor” with their superiors or customers because they weren’t at work- every possible moment. OK, if you are one of these folks, I am here and living proof to tell you that you can take vacations. Matter in fact, if everyone would start taking their vacations others might get the hang of it again… Hey, let’s start a new craze 🙂 Are you with me? Besides, all the research shows that you are more productive if you take routine breaks and take your vacations. I continue to hear this research being confirmed. So, if you are ready to be better at your game, enjoy some vacation time this summer…but don’t always believe what those exceptionally beautiful mermaids are telling you while you are out on the water (ooops, that’s a tickler for next month’s movie review)! People might not like you personally, but you can’t take it personally! I just participated in a full day training event with two presenters that I personally didn’t care for at all; however, they delivered the information I was seeking. When it was over, I was glad I had the knowing to endure the personal indifference for my business’s sake! You see, it’s all about your business. Is your business outstanding and upstanding? If so, you will be respected in the marketplace, even if you aren’t loved by everyone. Gee, isn’t it just foolish to think everyone would like you? After all, do you like everyone? What gets you across your finish line? There’s one way your business can carry you when you may not have the willpower to do so… How? If you have invested the time and energy to build your strategic development and then build your systems, your business can carry you. In the movie, Hidalgo carried his rider in the direction he needed to go. If you make this type of investment within your own business, your business will return this investment back to you tenfold when you just don’t have the willpower!